How My Family Celebrates Chinese New Year of the Dragon! I love celebrating Chinese New Year! My husband’s family is from Hong Kong, so Chinese New Year has a special meaning for us. My husband’s parents always have auspicious red Chinese envelopes stuffed with money, waiting for us when we visit. 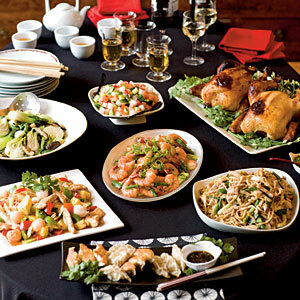 The family dinner includes fish, shrimp and lots of auspicious vegetables – the symbols of prosperity. 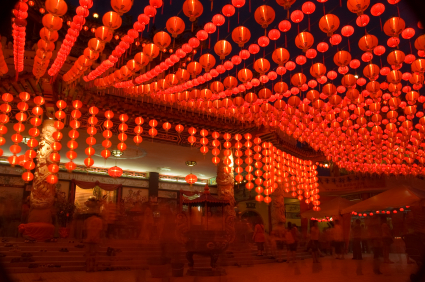 The house has to be brimming with red lanterns and envelopes, as well as oranges and mandarins, also symbols of prosperity and abundance. 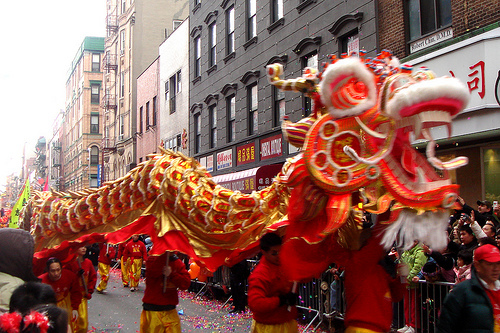 Whenever we get a chance, we go to New York Chinatown to watch the Dragon and Lion Dances. All Chinatown restaurants are packed, reservations being made well in advance, each restaurant trying to outdo themselves and each other with the most creative and prosperous dishes imaginable. In addition to sharing the New Year’s festivities with family, it is also a fabulous idea to share your New Year’s meal with close and dear friends. 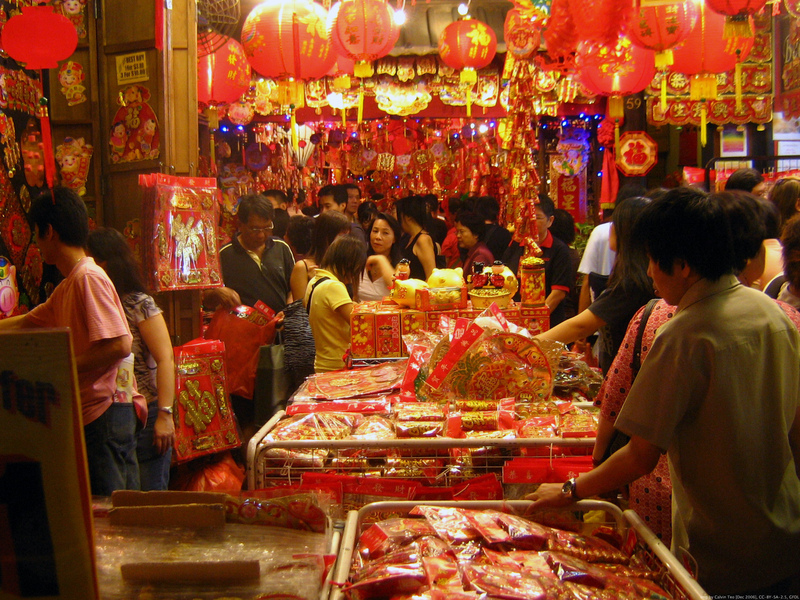 During the Chinese New Year Celebration, various ceremonies are conducted to ensure the fortunate year ahead. 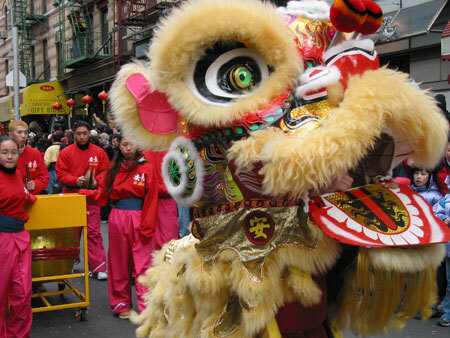 This includes New Year’s parades, as well as Dragon and Lion dances. My personal favorite is the Prosperity Cart Ceremony, which I learned from my Hong Kong Feng Shui teachers. Traditionally, the New Year’s celebrations last 15 days. Therefore, this year, the celebrations will continue from 1/23 through 2/6. 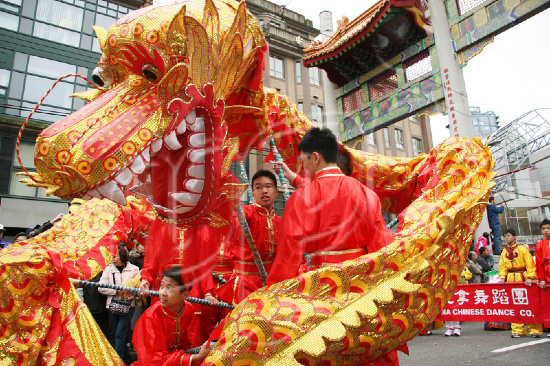 The year 2012 is very special, as it is the year of the Dragon, considered to usher in a very powerful energy of prosperity and renewal. Xin nian kuai le – Happy New Year in Mandarin. Simplified Chinese: 新年快乐; trad. Chinese: 新年快樂. Cantonese language: shares the written word with Mandarin, but sounds different in its spoken version. It is the #2 dialect of China, spoken in Hong Kong and south of China. Finally, Gong Xi (or ‘Gong Hei’ in Cantonese) means ‘Congratulations’, derived from the legend of ‘Nian’, congratulating each other to have escaped the harm of the beast. Watch live! 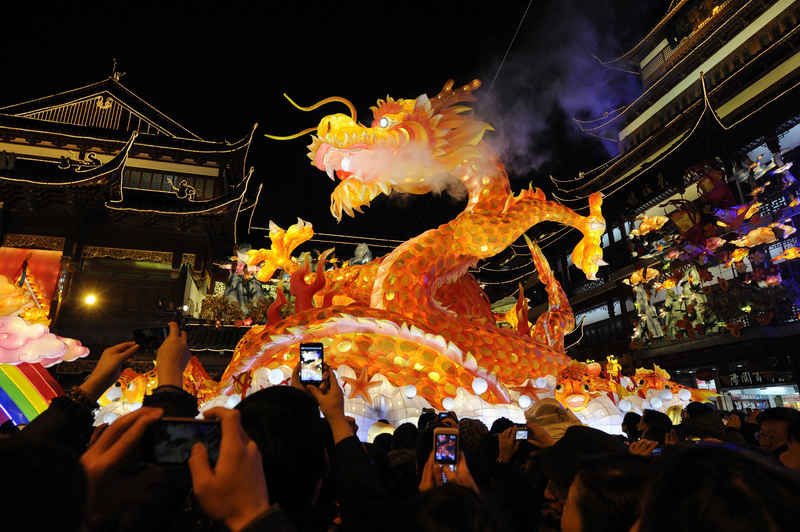 January 23 2012 Year of the Dragon Fireworks – Shangahai, China. Courtesy, Michael Edwards, who resides in Bangkok, Thailand and is currently visiting Shanghai for Chinese New Year. 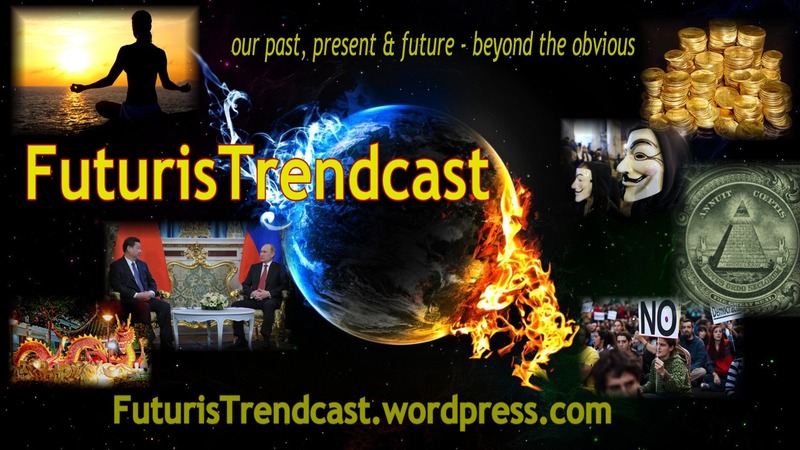 I am very pleased to announce that Michael Edwards will be doing the eyewitness guest blog on 2012 New Year’s Celebrations in China right here, on Lada Ray Blog! His post will appear in the beginning of February! Don’t miss this very special event! From our family to yours: Have a wonderful and prosperous 2012 – Year of the Water Dragon! Xin nian kuai le! Kung Hei Fat Choi! If you liked this post, please comment, RT, share and follow Lada Ray Blog!